I decided to share my list of projects dealt with in recent years. Unfortunately, not all have been done. If you want to finish one of them or start a new project let me know on my email address. I invite everyone to cooperate! 8bit Killer is a game engine based on Gloom Deluxe. The project is an conversion of the game 8bit Killer on the PC. The first three levels are converted and a lot of new levels are added. A two players mode is also available. The game is available in two download versions: ADF and LHA. AmiBOX is a logic game where we have to connect all elements together in one network. On each board is one transmitter and several receivers which we have to connect to it. Each element can be rotated in two direction, left and right. To complete the level we have to connect all receivers with the transmitter using all the elements on the screen. Each board has a time limit and after it the game ends. The game is set on the Moon, where the later is transferred to Earth. In the game you control an astronaut, which aims to explore the surface of the moon by collecting along the way various types of crystals. After returning to Earth, the planet is attacked by aliens. Now a player's task is to control a flying vehicle (UFO) in order to capture spread around the board aliens and bringing them to the base. Demo version (Flash) is in a very early stage and can be used only as a visualization. ArTKanoid is a clone of the well-known Arkanoid, running in a window on the WB screen. The game you can download from aminet and my skins you can see below. In the game we have to fly to the base located at the end of the map. Demo version has a 5 levels. Unfortunately, the Backbone does not offer a good collision with walls and Blackriver was created using the application called Stencyl. Our aim is to destroy cities by dropping bombs on the buildings. Our task is to guess the quote or proverb by marking the appropriate letters. Our task is to guess the quote or proverb by marking the appropriate letters. We have limited time for this. If you will fall the construction falls on employees working below and ending the game. The graphics was created at a resolution of 640x480 and 16 colors. Later this project turned into CrazyCrane operating under the Workbench. Create horizontal lines using the falling blocks. When you make a line, it is cleared from the screen. The game is over when the blocks pile up and reach the top of the screen. Deathmask 3D is a game engine based on Gloom Deluxe. 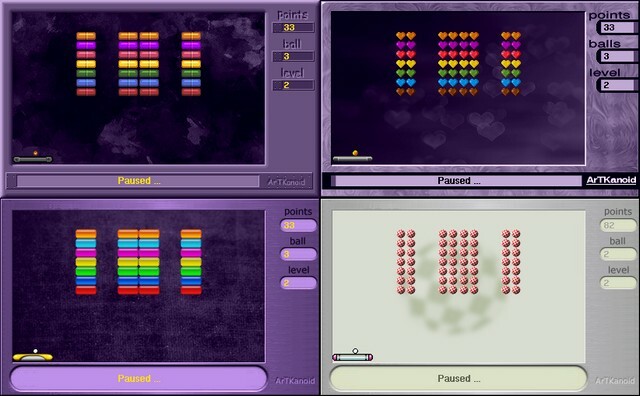 The game consists of 10 levels, which are not easy. In addition, there is entertainment for two players also in combat mode. Archive is available in two versions: ADF and LHA. Enigma resembles Sudoku game but the rules of the game are quite different. I might add here, that is the ancestor of the CrazyCrane game. Each cube consists of 9 fields which are stored numbers. The player's task is to guess the correct letters saved as a numbers. At the beginning the player reads the numbers stored in the first field in the 9 cubes starting on the lowest to the highest number moving to the right. Rules of the game are very well explained below on the animation. by Andrzej Drozd and graphics by Czesław Mnich. Game was made by me using Backbone. The player takes the role of chick who travels through dangerous full of enemies levels. The goal of each level is to collect all white eggs which also gives extra points. An extra life can be gained by collecting a big gold egg. There are 3 types of stages in the game: "Grass", "Ice" and "Lava" stage. standing on the red platforms "lava" takes energy as long as we not leave the danger platform. For the beginners available is "cheat mode". Offers extra live/energy or skip to next level. This archive contains many new levels and examples made by me with the easy-to-use editor (MAPED). You can also find here new weapons and characters from Star Wars and DOOM. As a bonus I added great programs written by Robert Szacki to import pics/objs into Gloom. Requirements: Gloom Deluxe. Motor racing on the speedway. Demo version (Flash) is used only as a visualization. Insidia is a story about a traveller who makes an emergency landing to a dark and strange planet in order to fix his ship. The main goal of Insidia is to find 9 repair kits and fix your ship. LightBot is an interesting logic game in which we control a small robot. The player's task is to bring the mechanical guy to a designated place on the board, and turn all the lamps. Our task is to achieve the ball to the exit by jumping on the different platforms. The game was created using the WinUAE emulator and works well on it. Nutmeg is a fun hop and bop platform game, in which you must control a little duckling through a dreadful territory to rescue his friends. Jump over obstacles and gaps as you try to pick up as much golden stars as you can. Much fun! Our task is to control the mouse cursor, which we have to reach the exit without touching the walls or enemy. 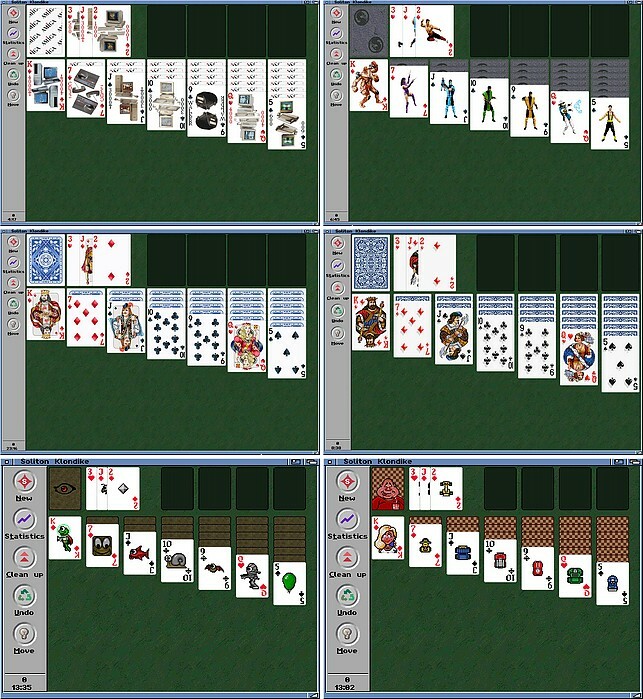 Soliton is a Klondike and Freecell card game made by Kai Nickel in 1999. This giftware game you can download from Aminet here. I created many a card sets for Soliton game. All you can see here. The game was created with the Backbone. Our task is to turn on all the light bulbs on the screen. Our task is not only to turn on all the light bulbs on the screen but also we have to reach the exit without touching the enemies. The game will be based on the first part while offering many new features which do not appear in the original. 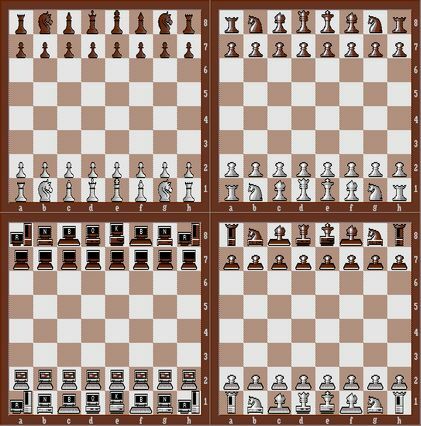 Szachista is the polish Chess game made by L.K Avalon in 1997. I created many a sets of pieces. All you can see below. Ziggy is a popular clone of the snake game and was presented first time on RetroKomp Game Compo in 2015. Newest version from 2017 year has a improved graphic and music. The rules of the game are simple, we have to move the snake to eat items on the board. Our snake gets bigger every time we eat green apple and the game becomes harder. In this version of the game we do not move on a flat board but in 3D space.